This post is an edited transcript of a lecture delivered by Shrradhalu Ranade, a scientist, educationist and scholar, at a conference on the Inner Dimensions of Climate Change. You can also read the first part of this lecture, where he introspects on Climate Change here. There are two profound questions which go at the heart of everything. The first question is, Who are you? Who am I? The second question is, Why am I here? Modern science took birth in Europe at the time when there was struggle between religion and science. Religion had already declined into darkness and as Science rose and revolted against the darkness of nature, it threw out everything which were part of the religion, including higher, deeper, mystical experiences and truths. And the form of science which emerged was a hard, materialist, limiting, reductionist science which said, "This alone is true. Everything else is imagination, delusion and madness. " Science told us that this was useful. It was useful because it meant starting from scratch, the journey of knowledge and awakening. Today, this tag of usefulness has become a huge barrier, preventing science from going further. 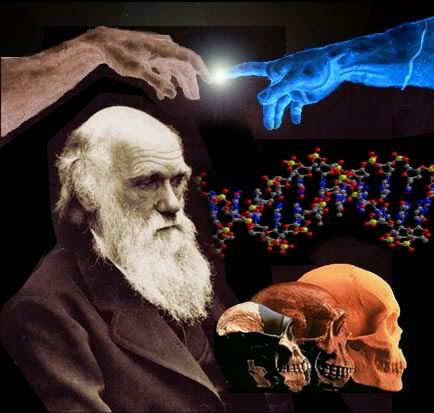 Science also dawned in this cultural, spiritual space shared by our ancestors. But it was not reductionist. It didn’t emerge as a reaction to something else. It emerged as a journey and a quest to know the truth. To know the layers of truth and the deepest truth. We realized that all truths are relative. But behind those relativities are things which are more profound, all encompassing, approaching something which might even appear to be absolute truth. The absolute seems to be too far, inaccessible beyond form. But at least the journey began. Like modern science, our ancient scientists also peeled off layers of reality. So let us look at what science tells us. It tells us: This is metal. This is plastic. This is cloth. This is a biological tissue. This is empty air and so on. What are these? Sensory experience of reality. Besides this what? What is behind it? They investigated further and realized, "Oh! It is made up of molecules". The air is made of the same molecules which are also in the metal. They are the same molecules floating in empty space. What’s behind it? They went further. They found that molecules are made of certain common elements. Behind those infinite variety of molecules, the elements which make them are the same. They went further. Behind those elements were certain sub-atomic particles. Everything we see, experience and we are is made of those electrons, protons and photons. They also noticed that they move by certain rhythms of energy. Rhythms of force and tendencies. Observing which, scientists said, "Oh. The same rhythms that we were, across all times". And therefore they called them laws. So far so good. They said, "One more step and we will find the ultimate particle from which everything dawns". But the next step broke the illusion. Instead of finding one source for everything, they found an underlying teeming energy. 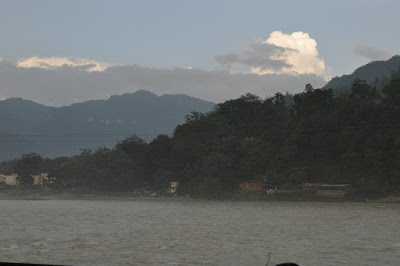 An energy that is bubbling, whirling, flowing, constantly changing, like this river you see here in Rishikesh. And as if, floating in that energy, the sub-atomic particles and molecules came out of it. This whole universe and all we are in, draws this energy, dancing by those laws and rhythms. What are these rhythms and laws? Why are they dancing and flowing this way? We don’t know. We can't know. And all we attempt to go further, deemed to be not, because modern science was stuck with the starting point which said there is nothing else except what I can touch and feel. Science which emerged in our cultural space also discovered all these great truths, molecules, energy and sub-atomic particles etc. But it went a step further. Yes, this energy is the basis of everything. But this energy itself is conscious energy. It is shakti. It is also chit-shakti. Conscious energy, which wills itself to flow and become all these forms. And it has an intention. It has a purpose. The universe is not born by chance. It comes with a purpose. It flows with a purpose. It unfolds with a purpose. That purpose is long and eternal, pointing forward eternally. Those rhythms, you could call them laws if you like, are habits of the energy. By its own free choice, it chooses to flow in these rhythms. You call them laws because they seem to last at all times. But the energy itself consciously can change them. Ancient scientists, who went to the heart of it all said, we are also the same conscious energy. In our awareness, we are a small part of that deeper, underlying consciousness, which holds the entire universe. By being conscious, we can become one with that underlying consciousness and can experience oneness and its creative power, infinite flows and even experience ourselves one with the whole universe. From that oneness, we can will out new rhythms of the energy. It is we who chose to become the universe; to take birth in the universe so that we may know ourselves. In time, these experiences, so rich and diverse, developed into so many different traditions, religions, lineages, schools of thoughts and philosophies. In all of these, we see these underlying truths that there is something essential, fundamental behind it all, which is the reality, towards which we must go, and from which we can transform our lives. There was a scientist whom we knew, working in Calcutta at a very prestigious institution, walked up one day to the hills of Himalayas and found a yogi sitting in meditation. He went to the yogi and said, “Why are you wasting your time in meditation? Look at all the wonderful discoveries of Science. So much has been achieved by science and the human mind". The yogi smiled at him. Picked up his little carrier of water, placed it in air and left it there. And pointed to that, and said, “Can your science explain that?” The scientist was astounded. He went back, resigned his job and became a disciple of the yogi. I think he made a mistake. Perhaps, had he made the effort to understand what the yogi was trying to teach him, and see how the science we have today, is just superficial, rather than abandoning it, it needs to be deepened. To realize those deeper truths of the spirit, which underlie the most material part of science, then we would have recovered some of the ancient, comprehensive, spiritual science, which includes the most material, psychological and the spiritual in one complete vision. There are so many possibilities, extra ordinary things, still to be discovered and realized in ourselves and in our understanding of the universe. I want to share few of these things to you and then use them to relate to a deeper understanding of what is happening around us and perhaps, change the way we look at our world and the environment.